Why am I going on the Freedom Flotilla II to Gaza? I ask myself this, even though the answer is: What else would I do? I am in my 67th year, having lived already a long and fruitful life, one with which I am content. It seems to me that during this period of eldering it is good to reap the harvest of one’s understanding of what is important, and to share this, especially with the young. How are they to learn, otherwise? Alongside this image of brave followers of Gandhi there is, for me, an awareness of paying off a debt to the Jewish civil rights activists who faced death to come to the side of Black people in the American South in our time of need. I am especially indebted to Michael Schwerner and Andrew Goodman, who heard our calls for help – our government then as now glacially slow in providing protection to non-violent protesters – and came to stand with us. They got as far as the truncheons and bullets of a few “good ol’ boys’” of Neshoba County, Mississippi, and were beaten and shot to death along with James Chaney, a young Black man of formidable courage who died with them. So, even though our boat will be called The Audacity of Hope, it will fly the Goodman, Chaney, Schwerner flag in my own heart. As adults, we must affirm, constantly, that the Arab child, the Muslim child, the Palestinian child, the African child, the Jewish child, the Christian child, the American child, the Chinese child, the Israeli child, the Native American child etc. is equal to all others on the planet. We must do everything in our power to cease the behavior that makes children everywhere feel afraid. I thought he might say it was the speeches, the marches, the example of Martin Luther King Jr. or of others in the movement who exhibited impactful courage and grace. But no. Thinking back, he recounted an episode from his childhood that had led him, inevitably, to our struggle. He was a little boy on his way home from yeshiva, the Jewish school he attended after regular school let out. His mother, a bookkeeper, was still at work; he was alone. He was frequently harassed by older boys from regular school, and one day two of these boys snatched his yarmulke (skull cap) and, taunting him, ran off with it, eventually throwing it over a fence. Two Black boys appeared, saw his tears, assessed the situation and took off after the boys who had taken his yarmulke. Chasing the boys down and catching them, they made them climb the fence, retrieve and dust off the yarmulke, and place it respectfully back on his head. A longer version of this article appears on Alice Walker’s blog: alicewalkersgarden.com/blog. This version first appeared in the Guardian of London. 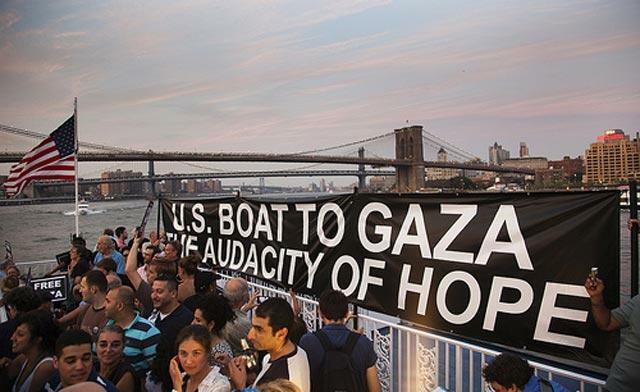 The dozens of Americans aboard The Audacity of Hope will be among an estimated 500 to 600 people taking part in Freedom Flotilla II. The activists, representing 22 countries, expect to set sail on 10 ships in the next few days. 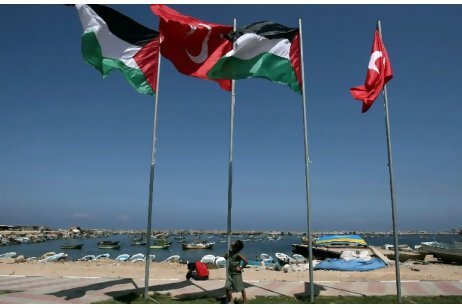 The U.S. citizens taking part in Freedom Flotilla II are under intense pressure from their government and mainstream media. Alice Walker has been targeted personally by CNN, and all U.S. passengers were warned by their government that they could be violating federal law by appearing to support terrorists – the Hamas government of Gaza having been declared a terrorist group. The passengers’ requests to their government to ensure their safe passage – in light of the boarding of the last flotilla by Israeli military, who murdered nine passengers, including one American citizen – have been refused. To address the CNN attack, write to CNN using the feedback form at http://www.cnn.com/2011/OPINION/06/24/howard.jacobson.flotilla/index.html?iref=allsearch in support of Alice Walker, the Gaza Flotilla and a free Gaza. Letters should be kept under 150 words and be sure to include your name, address and phone number for verification purposes. • Congressional Switchboard: (202) 224-3121 or (866) 338-1015. Just dial and ask for your senator or representative. • Make phone calls to those above to express your outrage. • Contact local media to express your outrage. • Join a protest being organized near you or organize your own protest in your area. Bring signs and Palestinian flags. SAN FRANCISCO: On the day following an attack or boarding of any ship in the Freedom Flotilla II – Stay Human, we invite all people of conscience to gather outside the Israeli Consulate at 456 Montgomery St., San Francisco, at 5 p.m.
SAN JOSE: Gather outside the Dr. Martin Luther King Jr. Library (San Jose Public Library) at 150 East San Fernando St., San Jose at 5 p.m.
SANTA ROSA: If Israel responds with violence – as they did last time – there will be a peaceful protest in Courthouse Square from 6 to 7 the evening of the incident. We also ask that Palestine solidarity groups and peace and justice groups spread this message across their membership through listservs, phone calls and other forms of social media. It is of the utmost importance that this event has a large attendance. International pressure – especially from the United States – is a critical factor in preventing Israel from acting with impunity towards humanitarian activists. We all need to be prepared to act on short notice. You people are nuts! Just another example of the world being upside down. I guess you totally ignore the constant shelling of Israel and the murders of innocents. You mention children, what about the family that was violently slaughtered in their home this spring? You totally ignore history; you totally ignore that the Israelites have lived in this land for thousands of years. How long is the Palestine history? Even their name only goes back 50 or so years. Why doesn't Jordan give them land? It just boggles my mind but I've given up trying to understand the extreme lefts point of view. Alice Walker has lost her mind. To use the Jewish support of civil rights in the name of aiding terrorists who kill innocent people – Jews and Palestinians alike- is grotesque. I once admired her and now I pity her. She has become one of those she fought against. Those whose beliefs where made from pure propaganda and stereotypes. Shame on you Alice Walker for not educating yourself on the true history of the people and the land! Shame on anyone who supports you in any of your future endeavors. Why does Ms. Walker not join a flotilla to Latakia, Syria? And why does she say nothing about Hamas — a misogynist, homophobic, and racist "government"? They are the oppressors, and the cause of misfortune. She seems genuine, but her actions are myopically misplaced and serve only the propoganda interests of jihadists. I don't mean this as a pejorative, but the phrase "Useful Western Idiot" comes to mind. Thank you Alice for being such a brave woman! and standing up for the poor oppressed people of Palestine. I just hope that all the other people who commented can one day open heatedly, listen, and try to understand what REALLY is going on in Palestine! I wish you all the best and you are forever in my Prayers. Alice, Your the uneducated fraud and a racist. Take a look in the mirror. You make me sick. Flotilla organizers and their partners with Hamas terrorist spokesman Abu Odeh who stated recently, "We never target people or civilians. We only target Blacks and Jews." Alice, we loved you…..What has happened to your mind, G-D will help you. I"ll bring my Israeli flag. HAMAS = TERRORISTS. Israel has the right to defend herself. THE COLORS BLUE AND WHITE beat THE COLOR PURPLE any day. Am Y'Israel Chai. Please go to WIKIPEDIA and update the (M)Alice Walker page! THEY ARE REVERTING EDITS WITH THE TRUTH. Apparently Alice Walker author of feminist misandry "Color purple" getting senile at the old age and climbed onto one of the Gaza ships. 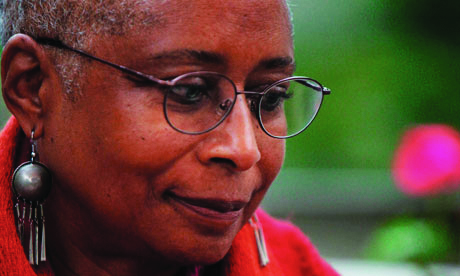 "Alice Walker has been targeted personally by CNN"
You have got to be kidding me! If you look at that article, it states clearly at the end: "The opinions expressed in this commentary are solely those of Howard Jacobson". What part of that do you people not get? Alice Walker is a Hero she will be boarding the flotilla with a Jewish Holocaust survivor named Hedy Epstein. The flotilla is for peace and Alice has won my respect! !